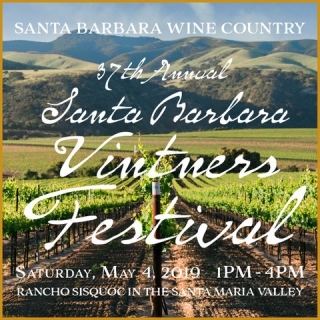 Join cnagy wines for the Festival Grand Tasting on May 4, 2019 from 1:00 - 4:00 p.m. (Early Entry begins at 12:00 p.m.) at the beautiful Rancho Sisquoc Winery in Santa Maria Valley. Enjoy our new release wines as well as from over 70 participating member wineries, tastings from more than 30 food purveyors - including regional restaurants, caterers, food artisans and farmers, live music, wine and culinary demonstrations, local artisans, participation in the silent auction, and free parking all included in the ticket price. This year, we are featuring a glimpse into the inner workings of wine making. Want to see how barrels are made? Visit with a cooper! Curious how the wine gets into the bottle? Visit the bottling truck! With live music, gorgeous views, exceptional wine, and the ever-popular Bubble Lounge, this is the year to be here! Purchase tickets via night out link below. See you there!